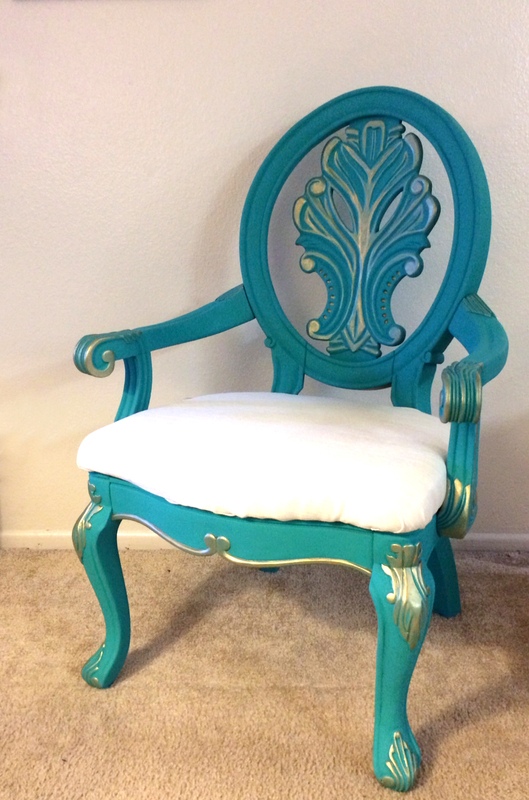 One of the more recent hobbies that I have gotten into has been restoring and repainting furniture. 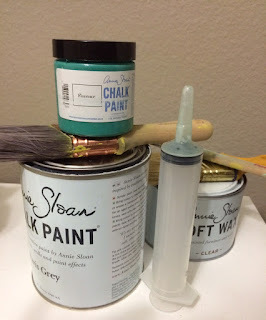 I have become obsessed with Annie Sloan chalk paint and all of the fabulous things you can do with it! I love to go on a garage sale hunt (when I find the time / wake up early enough) to find a great home accessory or if I am lucky, a furniture fixer-upper DIY. During a long Easter weekend, my friend and I decided it was the day to scavenge the neighborhoods for a killer deal. Well, we scored these beauties for $5 a piece! Okay, so it was totally filthy. and gross. and the arms were wiggly. Okay, it was a total mess, but I saw potential! I was looking for inspiration on how to make this chair unique and fit in my modern décor, so I decided to go with one of my favorite Annie Sloan colors, Florence. 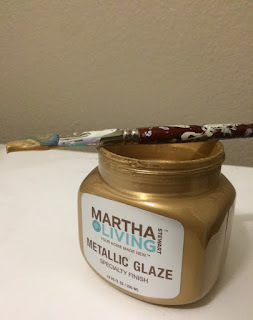 I got the wild idea of throwing on some really cool gold accents to go with my recent obsession with metallic and gold throughout my living spaces. 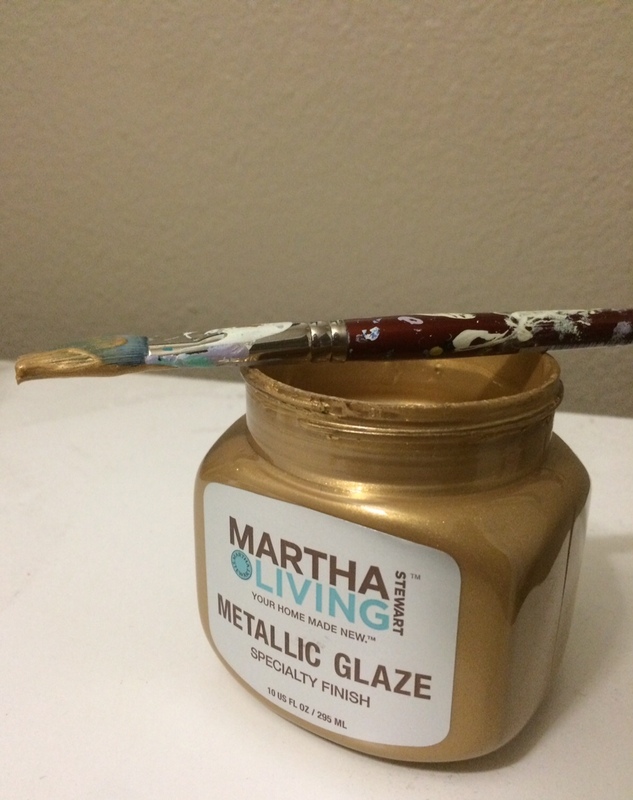 I decided to try the Martha Stewart Living Metallic Glaze. Unfortunately, I didn't take the time to snap some cool "in the moment" shots. I got right to it and never stopped for a breath! So, I started off by removing the seat, disposing of the old fabric, and giving the wood a good scrub. With the Annie Sloan chalk paint there is no need to remove prior paint or finishes so I jumped in and applied the first coat of paint. Then came the second, to ensure it was fully coated and all of the cracks were covered. I didn't dilute the paint or change the tone by lightening it etc. I wanted to paint this baby full-strength! What do you think? 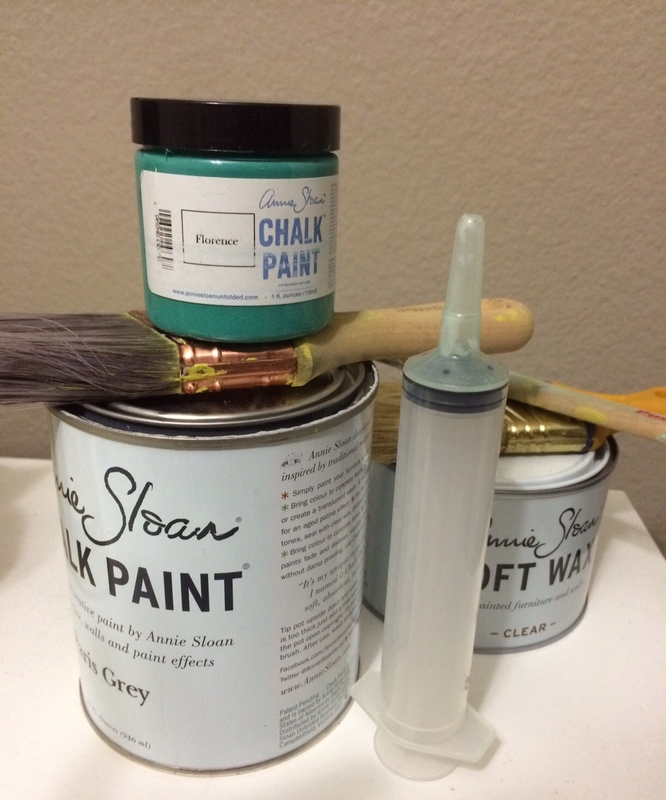 Do you have any experience with Annie Sloan or repainting furniture?